The most challenging part of my life was being a guard in a POW camp in the 1st Gulf War. It was during this time I can’t understand that I had a future. Let me back up a bit. I’m an American of African Caribbean and French descent. I’m an American first and foremost. My timing in the 82nd airborne was a time I will never forget. I was an inner-city kid from an upstate New York town that was riddled was drugs and crime. I survived this until my 19h birthday when I left my town to hitchhike across America. From New York, I made It all the way to Billings Montana to discover that we are all one in the big picture. But Americans see themselves (or saw themselves in 1989) as apart and separate from the rest of the world. Before 1989 the farthest out of the US I had gone was Canada. I had a thirst to go farther. When I arrived back in New York after my travels I decided to join the military and really travel. I did not go far. Ft Bragg, NC.is where I ended up. But then again, I did. 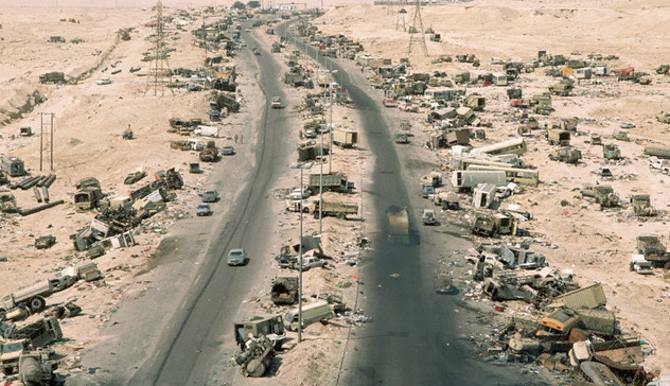 I found myself pushing cargo out the back end of a C-131 while being shot at by Panamanian soldiers and shortly after I found myself in the middle of a desert in Iraq searching bunkers and collecting prisoners for a badly staged area outside of Basra Iraq. The US engineers blew up a cache of weapons seized and did not figure the size of the shrapnel that would be launched. A lot of it hit my units base camp. After this, I was happy to do bunker searches and collect Iraqi soldiers surrendering. While watching the POW’s I found myself remembering why I had hitchhiked from NY to MO. I was a college dropout. I could not see the point of getting my degree in art, or anything while making 80-150USD in tips a night working at the local Punk bar (yes, punks did tip). What was I going to do after this experience? Knowing the 82nd, I would probably be deployed to another ‘conflict’ somewhere else in the world. The challenge came when I had to decide if I was going to go back to school after the military or just keep fighting. This was 1991 and after I returned the nightmares began to come and I was told to get over it and move on. I moved on I got married had two kids and still, the nightmares remained. Then, my wife, a teacher applied to teach overseas; Iceland. All the time I spent trying to leave the US and here was my chance. I decided to leave the military, follow my wife and go back to school. In Iceland, I found the help and the support I needed to deal with my nightmare; art. My art began to speak for me, to say the words that were in my head, and help me understand the nightmares and put them to rest. It is now 2018 and I have completed my Associates, my Bachelors, my first masters, my second masters, and waiting for committee and dean approval for my Doctorate. The most challenging part of my life was the promise I made to myself, my higher power, and an Iraqi POW who did not understand a word I was saying after he gave me his Iraqi uniform and kept saying, “no want, no want’, I still have the pants. The most challenging part of this experience was the promise I made to myself so deep down inside that it had never left me. The most surprising thing about this promise was every time I felt down, like the time one university took me all the way to the last class before my doctorate and dropped me from the program. Only to find out through a lawyer friend the university had 8+ similar cases against it from other students of minority. Every time I felt defeated I reminded myself of the promise I made and where and when I made this promise. So, when I walk into the school where I teach now, and I hear people complain, my first comment is always, “You could be teaching POW’s” and/or “At least you are not in a foxhole in the jungle”. Yesterday is a memory and for some Vets a nightmare, Today is all any of us have in order to build a better tomorrow.